Ask us how we can improve your process. Nobody knows better than Techspray the challenges of cleaning trains, signal devices, control panels and anything else that gets covered with grease and dirt. Our contact cleaners are widely used in some of the largest subway systems in the US to help keep the trains running on time. Got a question? If so, contact us. We're here to help you. Powerful and economical electrical contact cleaner in an aerosol can. Remove oxidation, oil and other contaminants from contacts, metal switches, motors relays, generators, edge connectors, buss bars, circuit breakers, scales, and sensors. G3 Blue Shower is non-flammable degreaser and cleaner formulated to be powerful, yet economical. Eliminate brushing and scrubbing, saving time and materials. High power, fast evaporating industrial cleaner- G3 Industrial Cleaner is perfect for all types of degreasing, metal cleaning, contact cleaning, and other maintenance cleaning. 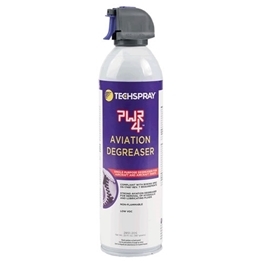 Blast away heavy oils and greases off of metal parts, gear boxes, and engines. Strong single purpose transit degreaser. PWR4 Transit Equipment Degreaser is a single purpose transit degreaser, with strong removal ability of an oxidized hydraulic fluid, carbonized oils and fuels, lubricating oils and greases, and other organic residues.